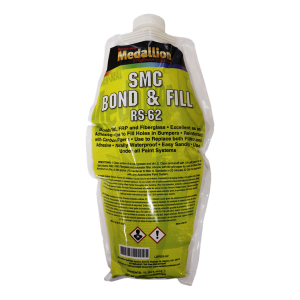 A fiber reinforced body filler and adhesive for use on SMC and fiberglass. It bonds SMC/fiberglass to SMC/fiberglass or SMC to metal. A waterproof filler that has excellent adhesion to SMC, fiberglass and metal.